During the two day active meeting, Partners presented the results achived so far within the project as well as plans for coming tasks. 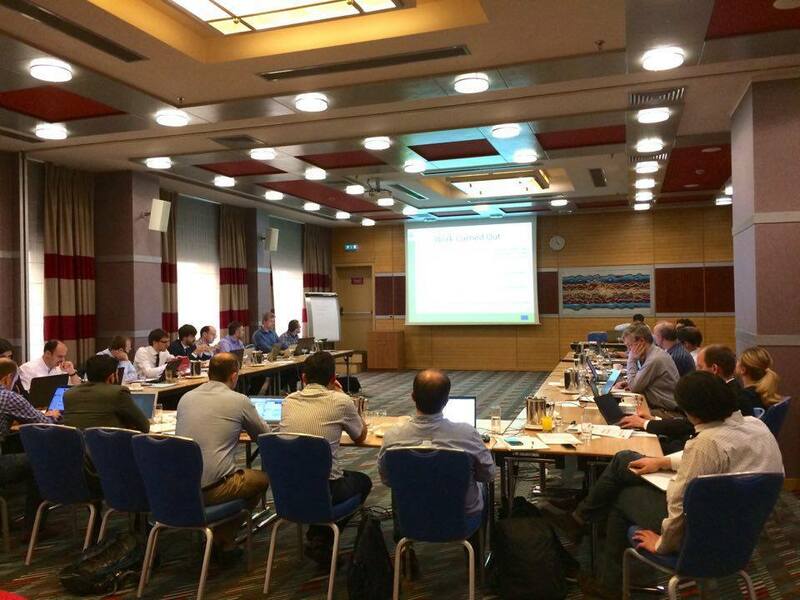 As the MOEEBIUS project is an extensive and complex initiative that requires the involvement of foreign Partners representing the industry, universities as well as research centers the meeting was an excellent opportunity to coordinate all the project activities and solve any issues of concers. The disccusions uptaken during the meeting refered to among others New Business Models and Energy Management Strategies, MOEEBIUS Energy Performance Assessment Methodology and Functional and Non-functional requirements of the MOEEBIUS framework and individual components. MOEEBIUS project Partners will meet up again in November 2016 in Mafra, Portugal where MOEEBIUS demonstartion site is located.